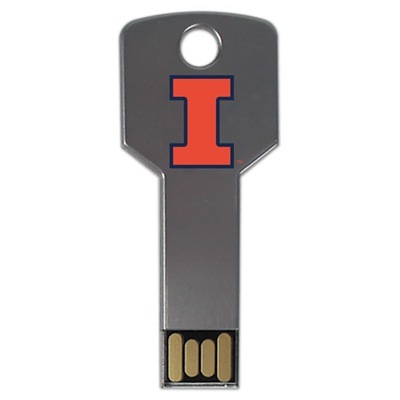 Get the upper hand on your data storage problems, Fighting Illini, with our custom University of Illinois at Urbana-Champaign USB drives! These durable, state of the art flash drives are easy to transport and simple to use. They’re a great way to show off your Fighting Illini pride! Each USB drive comes with a large data storage capacity, making them perfect for storing your most important documents, pictures, videos, music, multimedia, and other presentations. A great gift for students, faculty, and alumni.